We Have Doughnuts bills themselves as a bunch of people obsessed with doughnuts, and we couldn’t love the idea more. (We also want to be friends. Let’s just say, we have a lot in common.) 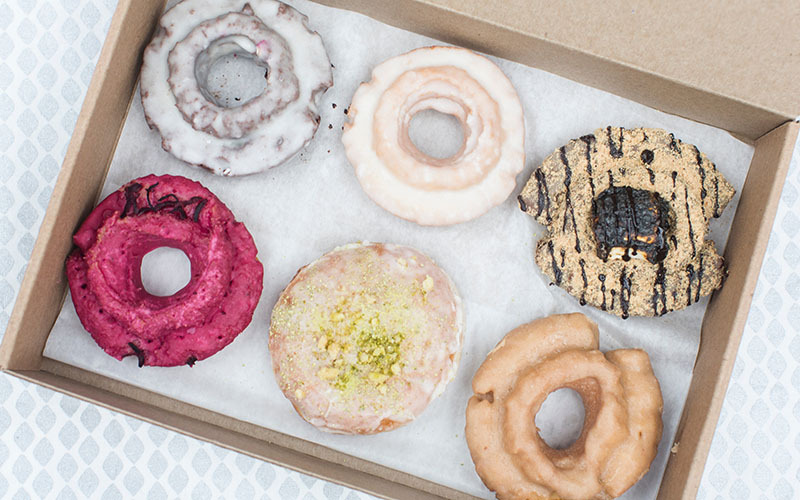 Graham Yelton lets us in on the business and the makings of the best old fashioned doughnut. How did you choose old fashioned doughnuts as your product? We all had such fond childhood memories of our local doughnut shop, and the old fashioned doughnut, in particular, was a unanimous favorite. Phil Amthor, one of our founders, grew up on the double chocolate old fashioned and simply wanted to try to make one that was as good as the doughnut he remembered from childhood. So, in truth, this whole business started because Phil was hungry for a delicious double chocolate old fashioned. How do you decide what flavors to put on the menu? We have several staple flavors that are typically on the menu year-round: Buttermilk, Chocolate, Brown Butter and Double Chocolate. We also have 2-3 flavors that change depending on what’s in season. We work closely with the Urban Food Project to source local produce. 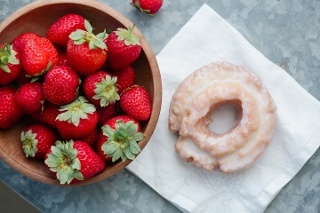 This past spring we had a Double Strawberry Old Fashioned using Witt Farm Strawberries. We also want our flavors to reflect the South and Birmingham specifically. The Peanut, Coke + Whiskey doughnut is a great example of that. Coke & peanuts were an old Southern tradition, and Ollie Irene, one of our favorite restaurants, turned that tradition into a fantastic cocktail. We couldn’t resist turning that into a doughnut. We also draw a lot of inspiration from our fellow makers. We recently partnered with Big Spoon Creamery and created a doughnut ice cream sundae. In March, we rolled out a Hot Honey doughnut using chili-infused honey from City Bee, a beekeeper in downtown Birmingham. 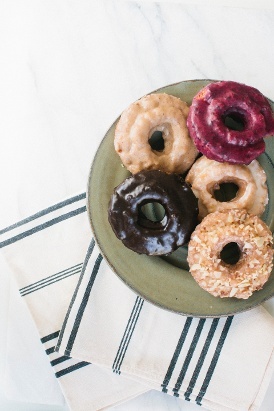 Do you have a favorite doughnut? I like to get a half dozen and take a little bite of each. I can’t pick a favorite. It’s impossible! What made Birmingham a good place for your business to grow? Every town or city needs a made-from-scratch doughnut shop, and we were really missing that inBirmingham. I think Birmingham is a place that values quality and authenticity. They also reward businesses that reflect the local culture. What advice would you give to a Birmingham newcomer? When in doubt, go local. Start downtown. 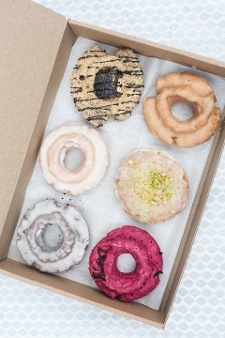 Also, if you want doughnuts, the easiest way to get your hands on a box is to pre-order online at www.wehavedoughnuts.com. Pick a date, quantity and pick-up location. We make them from scratch each morning, and we’ll have them ready for you!